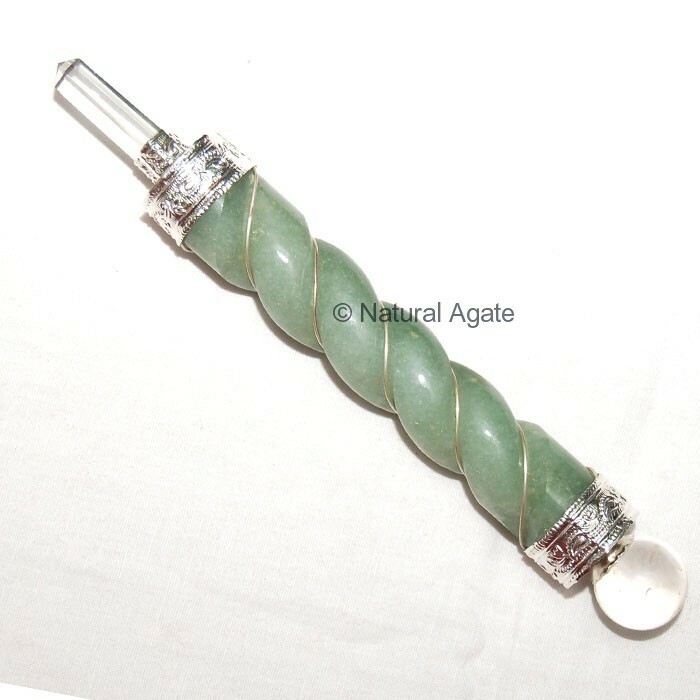 Green Aventurine Carved Wands with Metal looks beautiful and attractive. Get it now from Natural Agate at a reasonable price. The wand is 3-7inches long. Keep the wand in office to attract money and success in work.